CAREER HIGHLIGHTS: Returned to Nissan in December 2013 to start his current role after a short stint as head of Volkswagen Group's UK operations. Willcox first joined Nissan in 1992 as part of its UK operations after four years with Peugeot. 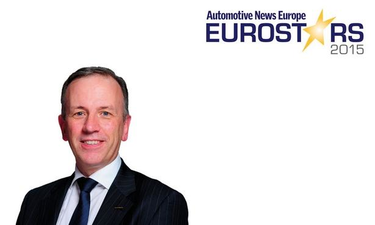 REASON FOR WINNING: Willcox has led Nissan to new highs in sales and market share in Europe. Nissan, along with value brand Datsun, increased 2014 sales 13 percent to 724,613 units and boosted its market share in Europe, including Russia, to 4.0 percent from 3.7 percent in 2013. The momentum has continued into this year as Nissan passed Toyota in the first half to become Europe's top-selling Asian brand.